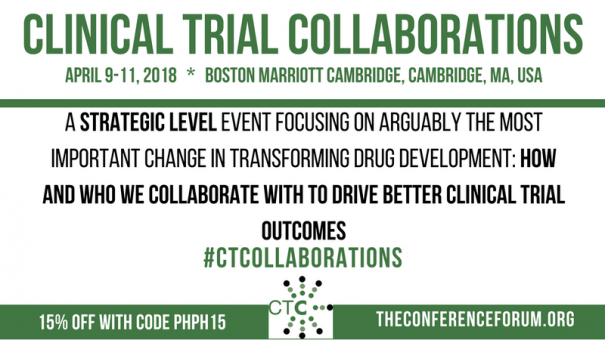 The Conference Forum is pleased to announce the launch of the 3rd annual Clinical Trial Collaborations (CTC) conference in Boston on April 9-11, 2018. Led by Co-Chairs Ken Getz, Director of Sponsored Research Programs, Tufts CSDD, and Murray Abramson, MD, VP Global Clinical Operations, Biogen, the CTC conference is a strategic-level event dedicated to collaborative partnerships in clinical trials that are driving 21st century drug development. Jay Kaminski, SVP, Global Clinical R&D Operations, Celgene, describes a bold, fresh approach to creating a collaborative ecosystem for a 12-month clinical trial. Industry veteran, Dr Jeremy Chadwick, Group VP, Clinical Development Operations, Shire Pharmaceuticals, and conference chair, Dr Murray Abramson address in a fireside chat what it takes to develop strategic relationships between sponsors and vendors that deliver results. Dr Azmi Nabulsi, Deputy CMSO and Head of R&D Strategic & Professional Affairs, Takeda Pharmaceuticals, and Tami Klerr, Executive Vice President, Global Business Development, PRA Health Sciences, update us on Takeda’s Transformational Clinical Development and Marketed Product Partnership with PRA Health Sciences. Dr Tomasz Sablinski, Founder, Transparency Life Sciences, and Komathi Stem, MS, Founder, monARC Bionetworks, help us understand how to collaborate for virtual/semi-virtual clinical trials with their sponsor partners. Michelle Shogren, Portfolio and Operations Innovation Manager, Bayer, and Joseph Kim, MBA, Senior Advisor Clinical Innovation, Eli Lilly, explore the potential of collaborating with innovative startups within the clinical development process while managing the inherent risk of stepping outside of traditional lines. Ann Hegarty, Executive Director GSMO, CRO Oversight, Allergen, and Allergen’s CRO partner present how they are navigating FDA guidance ICH E6 (R2) together using a strategic approach to make their collaboration compliant and effective. An entire day dedicated to Clinical Research as a Care Option. On April 11, attendees will learn how clinical trial professionals can bring patients closer to clinical research and can find ways to make clinical trials a care option. This movement is closing the gap between transactional clinical research and integrated clinical care, one of the biggest topics for the future of healthcare. The day is co-chaired by Jeff James, CEO, Wilmington Health, and Katherine Vandebelt, Chief Ecosystem Officer, Reify Health. CTC offers presentations that deliver insightful clinical trial ideas and challenges for R&D operations, Contract Research Organizations (CROs) and site executives. It serves as an ideal event for senior-level clinical operation executives from large, medium and small pharmas, CROs, sites and patient advocacy organizations. The 2018 event also features team registration! 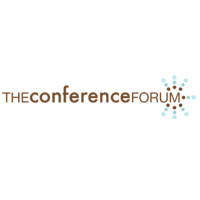 One registration price for three attendees passes for all three days of the conference. To find more about CTC, click here.